Happy Monday!! I think I’m jumping onto the chia seed pudding really late guys. Buttttt, I don’t want you to be so far behind like me because it’s far too awesome to not know about! HA. If you follow me on Instagram, I’m sure you’ve noticed for the past few weeks, I’ve been eating a lot of chia seed pudding for breakfast! Well, a ton of you reached out to me asking me about chia seeds, and how to go about making this pudding! It’s ridiculously easy and fast to make, because I put it together at night in under 2 minutes, and have this awesome breakfast in the morning. Least amount of effort, with maximum benefits. I am here for that friends. Raise your hand if you know exactly what I’m talking about!! 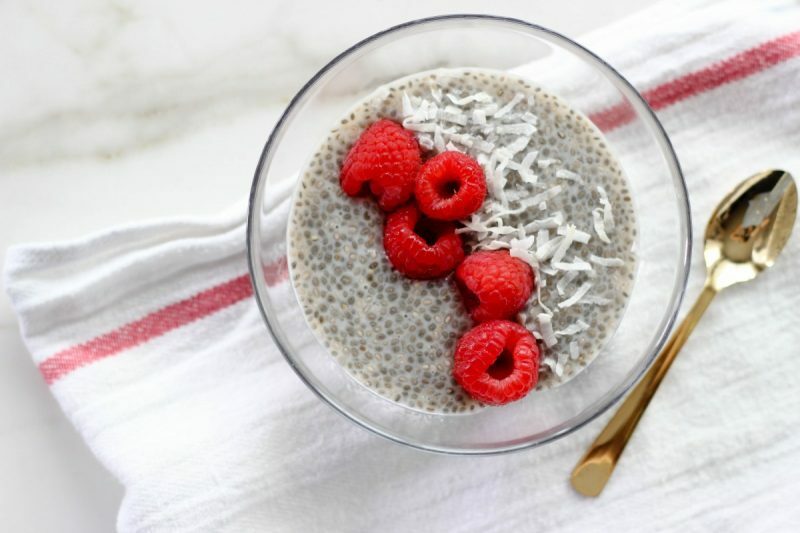 Now that I’ve hopefully convinced you that you need to consume this awesome thing that is the chia seed, let’s get started on making one of the easiest breakfasts or snacks you’ll ever eat! Best part? You only need 4 ingredients. Combine all the ingredients in a mason jar, or a container that has a lid. Close it up and give it a pretty vigorous shake to make sure it’s all mixed together. I sometimes even have to give it a good stir with a spoon if it isn’t mixing well. You can let it chill for an hour, but I suggest at least 4 hours if you want it the same day. But, in my opinion, the best is overnight! Make it right before you go to bed, and wake up and grab your breakfast straight out of the fridge to eat! I like to add some toppings sometimes as well for the kids! Some variations include, fruit (raspberries, strawberries, blueberries, orange segments, banana), nuts, coconut flakes, etc! Pin it for future reference!! I come back to the recipe all the time so I can remember the measurements! 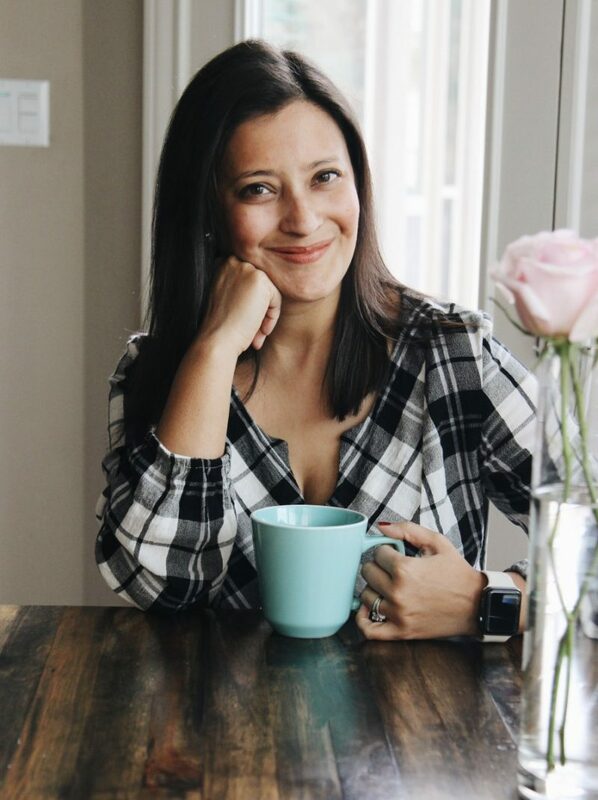 Previous Post How to Update Your Spring Wardrobe on a Budget with Thred Up! 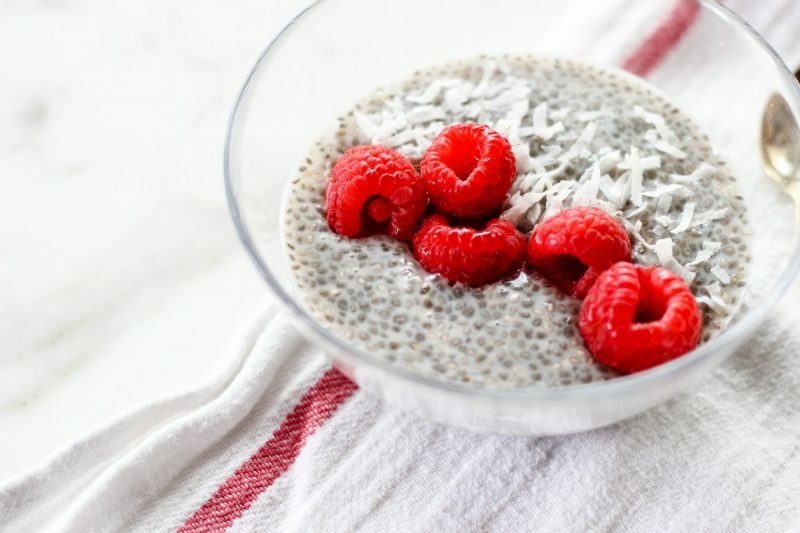 Thank you for sharing, I have been wanting to try to make my own chia seed pudding, I will definitely be trying this recipe! Looks so yummy! I love all of the great benefits of chia seeds. MMMMM YUM! 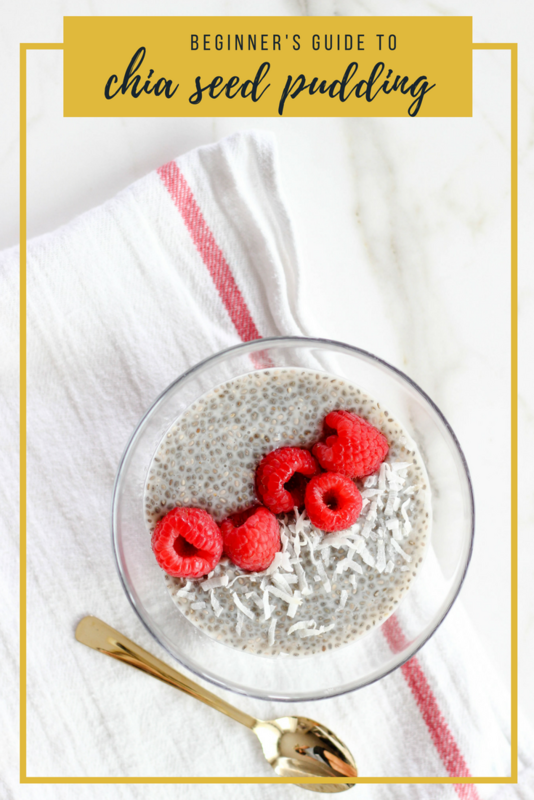 I love to eat chia seeds for breakfast, so i’m bookmarking this recipe! This is great! 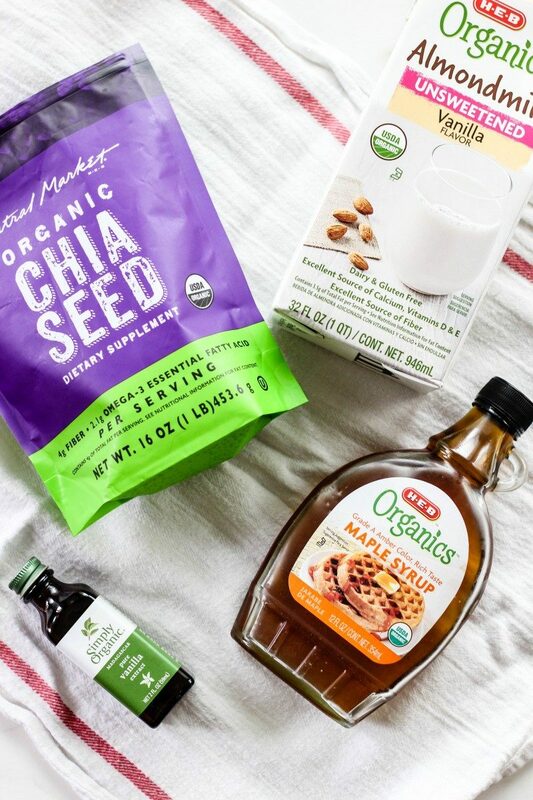 I’ve always wanted to try out Chia Seed Pudding but had no idea where to start! This looks amazing! 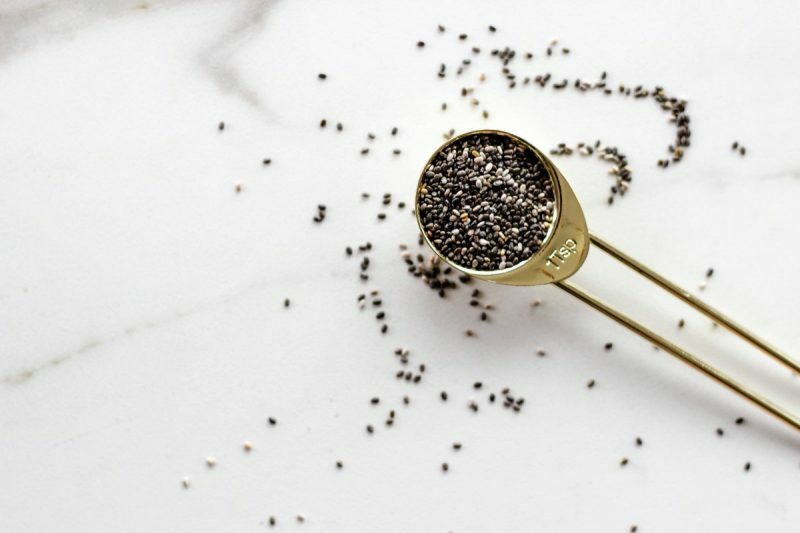 I’m always looking for a tasty way to include Chia seeds in my meals. Thanks for putting this together. I’ve actually been wanting to try this for so long!!! I thought it was complicated but it seems very easy haha Saving this for later, I am in need of some new + fresh breakfast ideas! OMG this looks delish! I’ve been using the same recipe for a while so I think its time to switch it up! 🎶 Cha-cha-cha-chia, baby! 🎶 I’ve really been wanting to try chia pudding, so I appreciate you making it so easy here. Thanks! YAAAAAS!! So happy you’re singing that jingle as well! Yum! Full disclosure, I’ve had chia seeds sitting in the pantry for so long. I’m definitely going to try this tomorrow! Yes! Get those chia seeds out and make some pudding girl!! 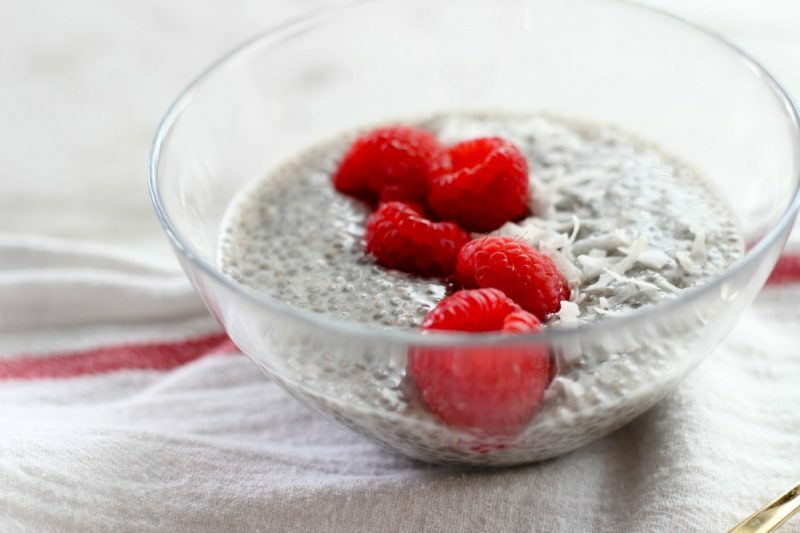 I’ve never had Chia Seed Pudding, but it’s definitely on my list. Thanks for the starter tips! Ok, anybody reading the comment section to see if someone has tried this recipe and how it came out, I did!! It was amazing! Such a simple and delicious breakfast idea! Thank you for sharing this recipe Alfa!